In the northeastern corner of Oregon you’ll find the breathtakingly-beautiful Wallowa Lake. Wallowa is a ribbon lake 3½ miles long, formed by a series of glaciers, and mostly surrounded by gorgeous mountain peaks. 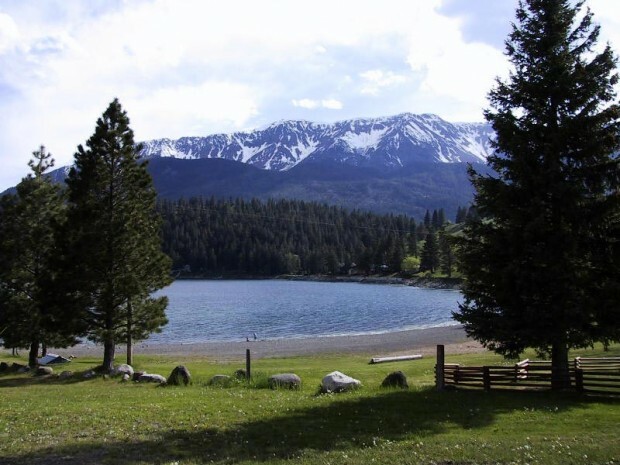 On the southern shore of the lake you’ll find Wallowa Lake State Park, which has camping (with provided yurts, teepees, and cabins), hiking, boating, miniature golf, horseback riding, and other activities. A mile north of the lake is the small town of Joseph, Oregon. The lake is one of the clearest in the world, due to it being mostly fed by snow melts, but that doesn’t mean it’s always cold—the lake warms up nicely in the summertime. The clear water makes it magnificent for swimming, and especially snorkeling; you can see fish clearly, particularly along the western shore. Fishing can be fantastic at Wallowa lake, with the world record for largest Kokanee Salmon being caught at this lake in 2010. Some great info on fishing at Wallowa can be found here. Boats for fishing, as well as kayaks and others can be rented, and there are also two public boat landings. There are several great hiking trails in the area, and especially going south into the State Park, which will give you unparalleled views of the incredible countryside all about. To cover even more ground, try a horseback ride with Eagle Cap Wilderness Pack Station. They have horseback rides lasting 1 hour, 2 hours, a half day, and a full day, through the mountains, hills, and valleys of the Eagle Cap Wilderness. One of the greatest things is the Tramway, which will take you up 3,700 feet to the top of Mt. Howard! Being on top of the world has distinct advantages: for starters, you’ll have a that-much-more-amazing view. But, while the views are one of the best parts of the Wallowa Lake area, there’s more than just the view. The top of Mt. Howard is a favorite spot for picnics, weddings, hang-gliding & model glider flying, as well as home to the Summit Grill, the highest restaurant in the Northwest (8150 feet above sea-level). Check out the menu here.